Bera the One-Headed Troll Review – AiPT! Pumpkin farmers lead a simple life, one of routine. Troll pumpkin farmers that live on secluded islands are even more sedate; toiling during the harvest and dreaming of the winter when they can sit by the fire with a nice hot cup of pumpkin tea. Such is the life of Bera and her often logical owl sidekick, Winslowe. That is until an unusual guest appears on her shoreline and the mermaids believe they have found a plaything. Bera is kind hearted–not what you would expect when you think of a troll. We soon discover that many things are not quite as we imagined in Bera’s world: mermaids are not graceful beauties, boats walk on land and trolls come in a variety of head counts. Eric Orchard takes us on Bera’s whimsical quest to return a human baby to its own world. As with any quest, Bera meets many charismatic and enchanting characters along the way, and these characters are very well drawn. The imagery appears simple at first glance but look closer and you will see the artful cross hatching and sepia washes that set the mood for each panel. Orchard was inspired by Maurice Sendak and it shows. The fine, black-lined details in tree roots, landscapes, stone and fur are a great tribute to Sendak’s style. The sepia coloring captures a night world without coming across as too dark and eerie for children. While each of the trolls has a uniqueness, they are just similar enough to show they are all trolls. We learn a bit about troll lineage as well. We meet heroes and guardians that were long thought of as only a myth. This is the result of Orchard’s Norse inspiration, no doubt. Unfortunately, the story struggles a bit with transition from one story element to another and a few of the scenes could use strengthening of the dialogue. I know what you’re thinking, these are kids reading this book, not adults. I question the dialogue only because it flows so smoothly in some areas and then seems to hurry to get to the next scene in others. For example the hedgehog wizard introduction seems rushed. Two questions with no definite conclusion, and boom, we are moving on to the more detailed dinner scene. This books straddles the line between simplicity for a young audience and more complex dialogue for older children. I believe it wants to be the latter. 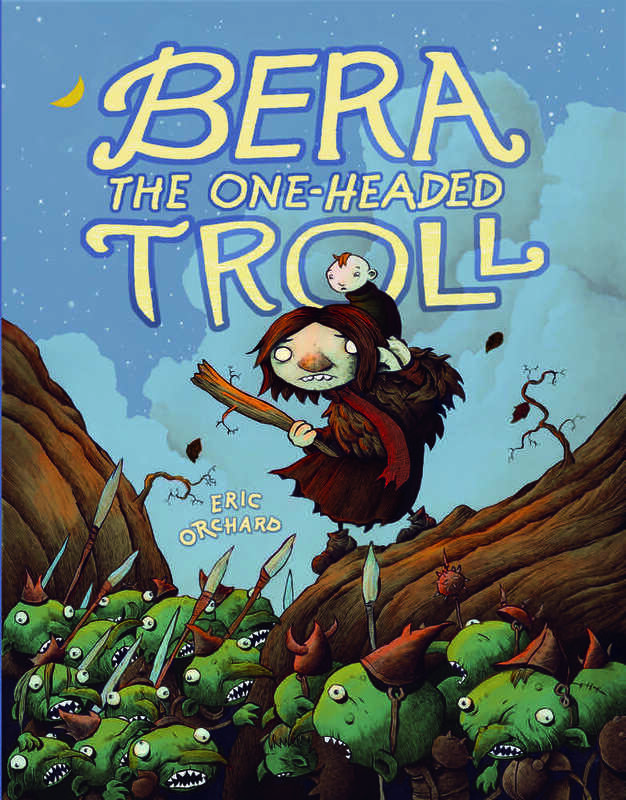 That aside, Bera the One-Headed Troll is a charming story that weaves in elements of adventure and magic. Children will root for Bera to succeed as they struggle right along with her on her quest. Did I like It? Yeah. Orchard takes you alongside good-hearted Bera on an imaginative journey. We are reminded to stand up for the little guy. In this case, literally; and that doing the right thing is not always easy but it can be an adventure. My Fears? The witch is creepy, I can almost hear the clack, clack, clack of her boat. Younger children, first grade or below, may be frightened by her so check your child’s monster meter before reading this one.